Welcome to my first blog post on Classical Indian Music. 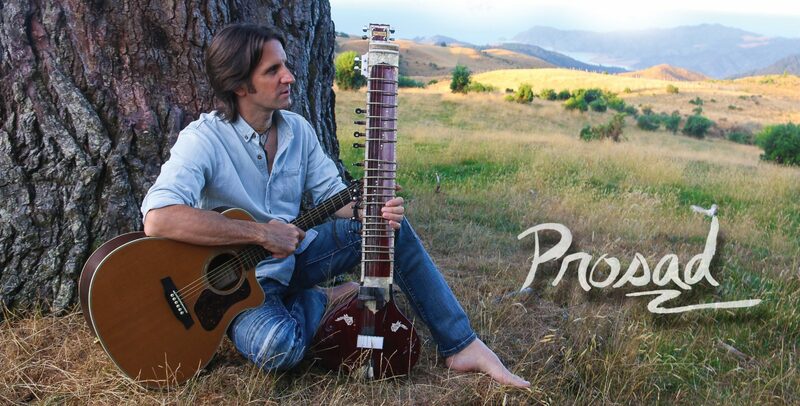 My purpose here is to give some insight into the sitar as well as the profound and ancient music of India. I am a humble student of this great art form, still learning, so I look to the masters for their grace and guidance as I humbly share what I have learned so far in my journey. I will provide some examples from my own playing and in future posts I will look at specific ragas and delve into the details of their theory and emotional impact. Welcome! Let the journey into raga music begin. The origin of the sitar goes back almost 500 years to the time when the Moghuls invaded India. Although it is not universally accepted, some say that Amir Khusro invented the sitar. Although no one knows for certain the exact details, it is commonly accepted that sometime around the 15th Century, an instrument appeared that is thought to be a combination of the ancient Indian Vina and the Persian “Setar” (literally “3 strings”). This new instrument was played at the court of Akbar The Great and throughout northern India. It became part of a flow of almost 3000 years of Vedic music evolving on the Indian sub-continent. 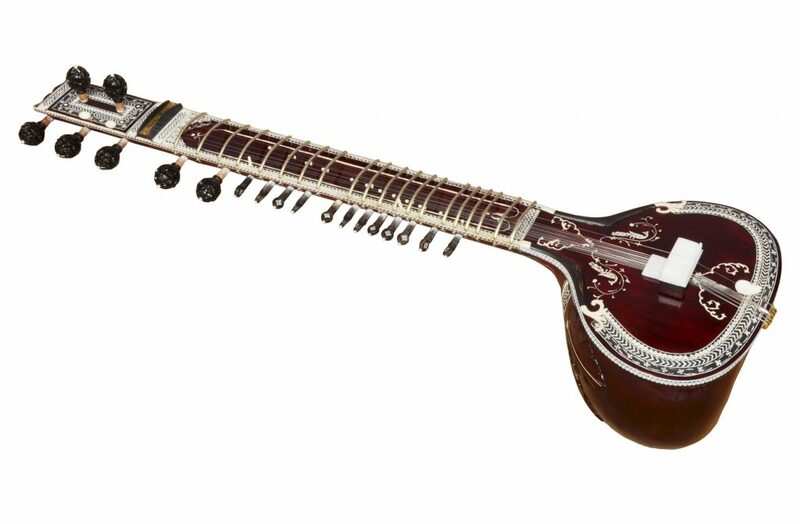 The sitar contains between 18 and 20 strings; most commonly it has 12 sympathetic strings and 7 main strings. It is fashioned from teak or tun wood with the neck and face of the instrument being fastened to a dried gourd as the resonating chamber. The sound of this ancient instrument was made famous in the West by Pandit Ravi Shankar. It is known for its unmistakably unique sound with brilliant overtones and sympathetic resonating strings that give its characteristic tonal depth. As a result of the harmonics, overtones and sympathetic strings the sitar has a bigger and more complex sound than one would expect from a solo instrument. Add to this the subtlety of the melodic phrasing, the micro-tonal intervals, the note bending and the complex rhythmic elements and you have an instrument that that carries great depth and power. Traditional melodies called ragas have been passed down through the ages from Guru to disciple. Each time a Khalifa or torch bearer of a gharana (school) passed on the traditional repertoire to his successor he would add to it his own subtle elements of mastery. The compositions, called “ragas” have evolved for thousands of years and are each played with a very specific structure and only at the appropriate time of day. Raga literally means to “color” the mind. This is such an in depth subject, we will talk more about this as we go on. For now, just know that when learned from a master and followed with strict accuracy, the ragas have the ability to affect the central human nervous system and evoke many different moods or “navarasa”. They are also used traditionally for for healing and for meditation. Another unique element to this music is the style of teaching and learning. Raga music is almost always taught aurally from Guru to shishya or master to disciple. Until very recently, nothing was written down and the huge repertoire of music had to be memorized. This style of practice is still used today, although some notation is allowed, simply as a framework and reference. As modern life is very fast paced, some notation is allowed for review, but it is still taught only by ear and must be learned by memorization. The process of committing to memory such a vast repertoire of music trains the mind of the musician in the deepest way possible. Discipline is essential. The great masters practiced up to 18 hours a day. Legend has it that the great Ustad Allauddin Khan used to tie his hair to the ceiling with a long rope so that if he fell asleep during practice, it would pull on his head up and wake him up so that he could continue to practice! I have been fortunate in my life to study with a spiritual master as well as masters of raga. To awaken the deep essence of music in my being, I have learned music and meditation from maestro Tulshi Sen. Learning from Mr. Sen has helped to sublimate my musical training from the secular to the spiritual. In the Vedas (the ancient texts of India) it is written: “Nada Brahma”, which means, “Sound is the Creator”. Studying with Mr. Sen has helped me to realize this truth on a deeper level than ever before. His understanding of sound, vibration and the spiritual essence of music has touched me in the most profound of ways, transforming my inner nature and increasing my sensitivity to the music within and my ability to understand the spiritual essence of musical expression. To learn traditional raga music, I am currently studying with Alam Khan, Ustad Ali Akbar Khan’s son. I have the deepest respect for Alam as a musician and for carrying on his Father’s musical legacy. In a very short time, the inspiration that I have found in this tradition and in Khan Sahib’s music has been limitless. It is with a humble mind and grateful spirit that I am learning this music from Alam-ji and the teachers at the Ali Akbar College of Music. Alam’s grandfather was the great Baba Allauddin Khan Sahib and it is his great lineage of music that we are fortunate enough be able to learn from today. In my opinion, Allauddin Khan Sahib and Ali Akbar Khan Sahib were two of the greatest Indian musicians ever to have graced the earth with their divine music. I also want to acknowledge that my very first sitar teacher was Shambhu Das Ji, a life long student of Pandit Ravi Shankar. Shambhu Das taught sitar to George Harrison while the Beatles were in India in the late 1960’s. I have also studied with the great sitarist, Ustad Irshad Khan (Ustad Vilayat Khan’s nephew) from the Imdad Khani Etawa Gharana.